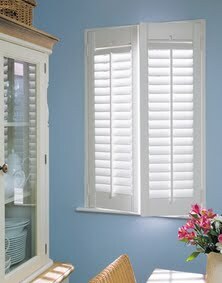 Carefully crafted for years of lasting beauty, our wooden plantation shutters make an exceptional long term investment. These modern yet elegant designs add value and distinction to your home whilst giving you the freedom to control the mood and degree of light. With an impressive selection of finishes & styles available, you are guaranteed to find a Cathedral shutter to suit your home. Cathedral shutters come in a range of designs to complement virtually any type of window and style of room. However you choose to express yourself; modern minimalist, traditional décor, or bold and original, there’s a Cathedral shutter to suit. Full height, tier on tier or café style are all on offer and Cathedral shutters can also be designed to fit most patio doors and French windows. For more information on this or any of our other window blind or conservatory blind solutions, please contact us.